The Wiraritari (Huichol) people live safely cradled between four states in the remote mountains of western Mexico. Never infiltrated by outsiders in almost 500 years since the Spanish conquest, the Wiraritari instead fled from their ancestral lands in the desert of San Luis PotosÃ­ and headed for the mountains far away towards the setting sun. Hiding out in the highlands and adopting a veneer of Christianity over the years they resisted conquistadors, missionaries, slavers, settlers, ranchers, and the murderous Catholic fundamentalists, Los Cristeros. For half a millennium they have remained true to their shamanic pagan origins, embarking on a 1000km journey each year to their original habitat, the desert of Wirikuta, to harvest their sacrament, the psychedelic peyote cactus. Aiding their shamanic power the Wiraritari revere and eat the peyote as the only medicine they say they need. The Wiraritari also pay homage on their annual pilgrimage to their ancient holy mountain in the eastern desert, El Quemado, which is both spiritually endowed and minerally rich, loaded as it is with over a billion dollars worth of silver, enough to make modern men mad with greed in the glint of its terrestrial moonlight. The Canadian First Majestic Silver Corp are seeking to extract the precious minerals therein to plate their own pockets by destroying over 6,000 hectares of unique virgin wilderness and the spiritual topography of the Wiraritari. This paper explores shamanism and magic as a means of resistance to encroaching ecocide, and the Wiraritariâ€™s connection with Nature and their sense of place in timeless space. Traditionally, the worldview, customs and usages of Peninsular Malaysiaâ€™s Indigenous minority, the Orang Asli, have invariably involved shamanistic practices. The more gifted practitioners or vessels of these arts were regarded as intermediaries between the people and the spiritual world who could obtain spiritual protection for an Orang Asli community and their territorial landscape. Their intimate knowledge of a communityâ€™s territorial landscape, acquired through mediumship, extended from worldly natural resources to the spirits possessed by humans, animals, plants and all other natural objects within the land. However, the erosion of Orang Asli traditional territories, the focus of the Orang Asli on market-based economic activities rather than traditional activities, state intervention in traditional decision-making institutions, the modern education system, the spread of mainstream religions and the increased use of Western medicine have had a profound impact upon the traditional influence of the local shaman. This paper examines the potential relevance of Orang Asli forms of shamanism in light of the relatively recent recognition of pre-existing Orang Asli land customs and usages by the Malaysian courts. These rights are established through, amongst other matters, the communityâ€™s maintenance of a traditional connection with the land claimed in accordance with customs distinctive to the particular community. It is suggested that the increased awareness of the Orang Asli on the legal significance of preserving and maintaining traditional knowledge relevant to demonstrating a traditional connection with their lands may, with guarded optimism, contribute to a resurgence of land and resource-related shamanistic practices in some Orang Asli communities. The traditional Chinese character (shaman) shows the image of a woman who danced with her two long sleeves waving in the air to invite deities. Whether there are still deities to be invited in modern China is yet to be explored. There are still places in China where shamans are indispensable in the local villagersâ€™ everyday life despite the fact that the dominant discourses of â€œanti-superstitionsâ€ have turned the shamanâ€™s activities into a private and hidden domain. Based on a three month fieldwork in a Miao village in 2009 in Hunan Province, P.R. 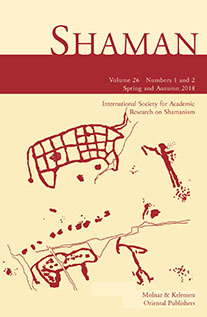 China, this research presents how the Phoenix hill in the village was preserved by a shamanâ€™s ritual of â€œspraying catâ€™s bloodâ€ in the 1970s and how the hill continues to play a fundamental role in the localsâ€™ everyday life today. By performing rituals and telling stories, the shamans are constructing and spreading the local knowledge of the hill, forming their own sense of relationship with the place, and â€œgiving physical reality to these expressions and experiencesâ€ (Smith 2006:75). This paper thus interweaves the voices of the shamans as well as the local villagers, the voices from the past, especially the local gazetteers in Qing dynasty, and the thick description of the ritual performances on the hill. Rather than perceiving the hill as timber or tourism resources to be exploited, the indigenous ways of interpreting and interacting with the hill demonstrate a deep sense of connection between the shamanâ€™s ritual, the sacredness of the hill, the sense of homeland, the sense of security in the villagersâ€™ everyday life. In pre-colonial times, the (very) little kingdoms of the Western Himalayas (often referred to as the â€œShimla Hill Statesâ€) were ruled by deities who settled disputes, healed sickness, meted out punishments, distributed grazing and irrigation rights, waged war, controlled the weather, and performed numerous other acts of administration. Normally, these deities communicated with their subjects by speaking through their temple oracles. Thus the oracular consultation was, as Sutherland puts it, â€œthe central political actâ€ of the pre-colonial polity. But who speaks when the god speaks? Having conducted intermittent fieldwork for more than twenty-five years in a remote valley where the system of Divine Kingship persists, I have finally found an answer to this question. And it is rather startling. Shamanistic Approach to the World Crises – the Yanomami Case: The End of the World or the End of Another Cosmic Cycle? Ever since their first sustained contacts with the Westerners in the early twentieth century, the Yanomami suffered irreversible socio-cultural changes, coupled with the appearance of malnutrition, deadly new diseases and subsequent population decline. The impact of culture contact was far more severe on the Brazilian Yanomami than on their Venezuelan counterparts. This was especially evident during the 1970s influx of illegal gold miners and proliferation of deadly epidemics. In the wake of multiple deaths, the shapori (shaman) Davi Kopenawa emerged as a new charismatic leader warning about the deadly pathogenic smoke spreading everywhere and threatening to bring the sky crushing down on earth, thus causing the end of the world. Davi cautions that only the living shamans are capable of maintaining the distance between the sky and the earth but the smoke is slowly killing them together with their spirit-helpers. If we follow this logic, I argue that another looming factor that could contribute to the eventual collapse of a cosmic order, especially in Venezuela, is a general decadence of shamanism. There is nowadays a growing disinterest of new generations of young Yanomami men to continue inheriting their fatherâ€™s ancestral hekura spirits thus assuring the continuity of shaporimou practice. On a broader scale, this paper ponders upon what exactly â€˜the end of the worldâ€™ means in these times of global crisis? Is it something that looms up only before small-scale dominated cultural others such as the Yanomami? Is it their mere response in times of crises that leads to cultural dissolution and death or is it something larger forthcoming? Are they signs and omens of a final apocalypse or just another end of a cosmic cycle (which for the Yanomami started with the arrival of white people) and the subsequent beginning of a new one? Among the Kirat Rai of Eastern Nepal, the recitations pronounced during shamanic rituals include countless references to the natural and sacred topography of the landscape, and to aspects of the natural surroundings inhabited by the performers. For every Rai group, often even for every clan of it, these references are â€˜localizedâ€™ to a great extent and therefore every social entity has its own way of being â€˜rootedâ€™ in their natural and sacred environment. In a research project by the Austrian Science Foundation (FWF), Alban von Stockhausen has explored these connections in great detail with a focus on the Dumi Rai, an ethnic group settling in Eastern Nepal. By re-travelling the recited ritual journeys together with the shamans and knowledgeable elders within the real topography, these mental or â€˜recitationalâ€™ travels have been â€˜mappedâ€™ onto the topography of the real world. Using GPS technology and different means of multimedia documentation of the visited places and the related ritual texts, a wide array of information has been gathered that allows a deep insight into the complex relation of ritual, history, topography and power relations of the Rai people. The paper will give an insight into the projectâ€™s findings and its methodologies. â€˜Eshuing Media Landscapeâ€™: About the Transformations of Afro-Caribbean Religions in Global Mediascape. This paper examines the transformations of and influences on Afro-Caribbean religions like Ã’rÃ¬shÃ in Trinidad and Haitian Vodun in the ongoing process of globalization. These religions went through many transformations over the last two hundred years which were/are caused by colonial and post-colonial oppressions and cultural contacts with Jewish Kabbalah and Hinduistic culture, but also by political philosophies like Negritude and the â€˜Black Powerâ€™ Movement which led to the process of Reafricanization. Nowadays the former West African gods entered the digital plains and became binary codes themselves redefining the meaning of sacred landscape in a digital age. Another scape where the Ã’rÃ¬shÃ s are represented is the so-called mediascape introduced by Arjun Appadurai, which can be interpreted as another â€˜landscapeâ€™ of Western world. In that yet unexplored field of comics, video games and films whole belief systems are reduced to simple elements to showcase horror, (black) magic and savagery to a mostly White audience repeating old discourses of a continent with no history, wealth or cultural heritage. This mediascape still became an â€˜arenaâ€™ for Afroamerican creators like Jiba Molei Anderson who adapted the Ã’rÃ¬shÃ s in his comic books â€˜The Horsemenâ€™ which is inspired by Maya Derenâ€™s â€˜Divine Horsemenâ€™ into beings representing Black identity and interests and canalizing conflict situations within comic panels. In that way we argue that shamanic studies have to recognize the reshaped plains, conflicts and power struggles in media landscapes as part of recent and future developments within our field of expertise as Shamanism already entered stage. There is a narrative publishedÂ in 1680 informing us of the Zambal peoplesâ€™ offering to Namalyari, the powerful one.Â It tells of a bayoc, a native priest,Â assembling an idol with a wooden head and straw hands.Â The bayoc then builds an altar and Â makes three holes with a spear on the ground where wine is poured over.Â In 2010 I learned from the native peoples of Mt. Pinatubo,the Ayta, that Â the eruption of the volcano Mt. Pinatubo in 1991 was due to theÂ boring of holes deep into the grounds for Â geothermal Â power plant of the Philippine National Oil Company. The native peoples of the mountains worship Apo Namalyari as one who created all things. The Ayta believe that by injuring the earth, which is Namalyari itself, we cause the sleeping volcano to erupt after more than 600 years of slumber. In recent times the bayoc has disappeared. But its practices remain through the intercessions of the manganito of the Ayta, relative to the indigenous people called Zambal in 1680 narrative. The priest/priestess performs offerings to Apo NamalyariÂ for agricultural rites and healing seances. My presentation would like to explore the current views of the manganito on the immense devastation of their homeland, e.g.Â the disappearance of forests, rivers, lakes, villages at the same time the creation of new grasslands, riverbeds, lakes among others changed the landscape of the mountain. I hope to retrace the sacred places, taboo thickets, mysterious rivers and springs, among others and reconstruct the shamanistic practices associated with these spaces.